Need all over t-shirt printing? With full print coverage Dye Sublimation printing is likely to be best print method for you. All-over printing has taken the fashion industry by storm. This has seen many of our fashion clients grace the pages of leading publications, including Vogue and GQ. We're experts when it comes to sublimation printing, specialising in all-over t-shirt & vest printing. This process isn't just for fashion brands; it’s perfect for any business, brand or band looking to stand out. 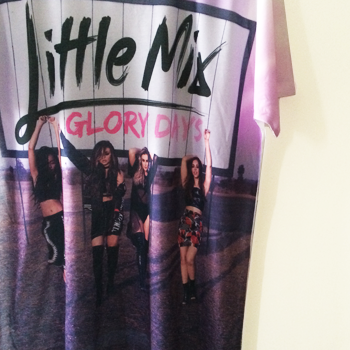 We can print all-over 1 side or both sides of your t-shirt. Additionally, our use of revolutionary new technology ensures no large white gaps under the arms (something common with sublimation printing). 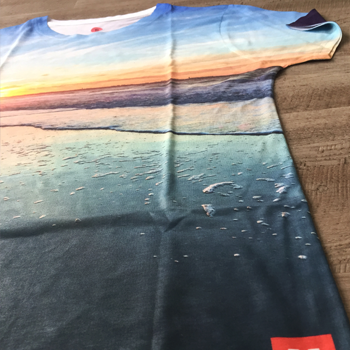 Sublimation inks only stick to polyester, so we always advise going for 100% polyester t-shirts for the best results. We can also print onto poly-cotton blends, however, the print won’t be as vibrant compared to our 100% polyester products. 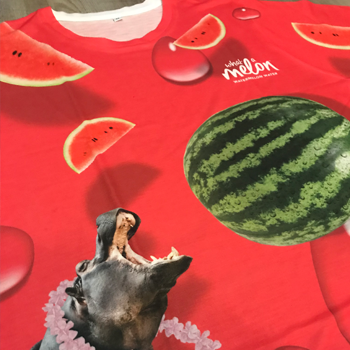 As a leader in eco-friendly printed t-shirts, we’re also one of the few in the UK that also offer sustainable options for sublimation printing. This includes t-shirts made from 100% recycled polyester, produced in ethically accredited factories. Quality is everything, so don't leave it to chance. As a market leading supplier to some of the largest brands, we’re a production partner you can trust. 5. Highest quality, with all of our printing & finishing undertaken here in the UK. The process starts with the artwork being printed onto high release paper substrate, this imagery is then placed under heat and pressure, with the heat allowing for the solid inks to become gasses, which can then transfer into the fabric of the garment. The technique allows allover printing, meaning coverage of print across the entire garment, in full colour. Superior softness is maintained across the fabrics, as a result of the inks being absorbed into the products, unlike many other print techniques.